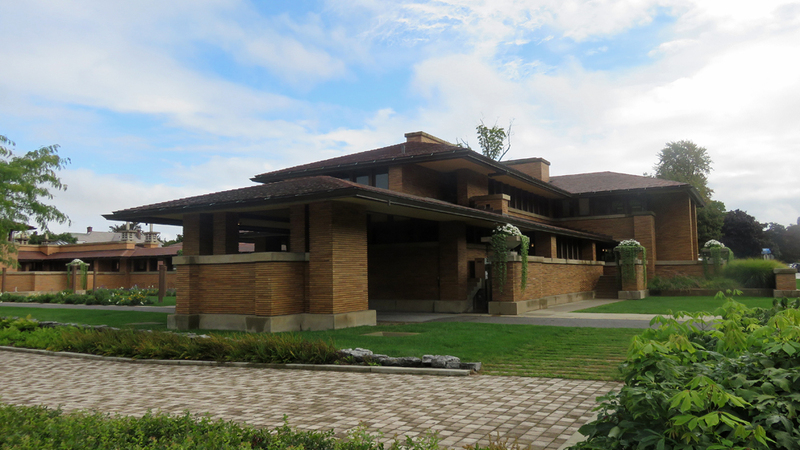 Frank Lloyd Wright’s Darwin D. Martin House in Buffalo Shows His Genius – Why Am I Not There? It’s important to note that this year marks the 100th anniversary of the National Parks Service. If you follow me on Instagram, you’ll see I’ve visited a few to take advantage of the free admission. Along with their importance in preserving their beauty, the main reason to visit them this year and beyond is that your tax dollars are paying for it. You might as well see where some of your money is being used. Case in point, the Martin House Complex in Buffalo is in the midst of a massive renovation. You can still visit it during it but my visit was devoid of interior furniture and fixtures. The kitchen is being painstaking recreated using photos and plans they were able to unearth. While a portion of the foundation and exterior have remained intact since it’s completion in 1903, other parts, as you’ll learn, were altered having gone through several owners. We think that now we don’t appreciate keeping things as they were, but in reality, it’s always been that way. For your visit, you can park along the street in the neighborhood. I do recommend reserving a tour because they do get booked up during the weekend, but I was able to get the next tour when I arrived at 10:10. It’s a quaint neighborhood so you can see other vintage houses nearby or you can read some history in the Toshiko Mori designed visitor’s center. You have your choice of a 1- or 2-hour tour. I took the 1-hour and felt properly informed of the significance of the house and some of Wright’s thinking in the design. For example, you can the carriage house and connecting corridor from the entrance, which results in uniformity and a connection to the outdoors. While most of Wright’s work can be found in Illinois, this and Falling Water in Western Pennsylvania are day trip worthy from the Northeast.